You’re reading novel Chaotic Sword God Chapter 1248: Arrival Of The Worldly Ebb online at LightNovelFree.com. Please use the follow button to get notification about the latest chapter next time when you visit LightNovelFree.com. Use F11 button to read novel in full-screen(PC only). Drop by anytime you want to read free – fast – latest novel. It’s great if you could leave a comment, share your opinion about the new chapters, new novel with others on the internet. We’ll do our best to bring you the finest, latest novel everyday. Enjoy! “Hall master of the Sea G.o.ddess Hall, I never thought that you’d arrive so quickly. You’ve appeared as soon as I’ve arrived at the border. Are you really that afraid of me entering your territory?” The hall master of the Heaven’s Spirit Hall heavily questioned. The woman coated in blue light right in front of him was the Saint Emperor of the Sea G.o.ddess Hall. He had not expected her to arrive so quickly. “She’s probably discovered me long ago and probably set off at the same time as I left the Heaven’s Spirit Hall. It’s fortunate that I didn’t act irrationally in my anger. If I had accidently entered the Sea G.o.ddess Hall’s territory, it would have been troublesome. I would obviously be fearless if I was in my peak condition, but my soul was just injured and my strength was greatly affected. I’m definitely not this woman’s opponent if we really do start fighting,” the hall master of the Heaven’s Spirit Hall thought in relief. “There is a clear agreement between the three territories among the sea realm. All those who are part of the halls cannot trespa.s.s in the territory of the others, and even emperors must follow this agreement. Hall master, I hope you do not break this agreement,” said the hall master of the Sea G.o.ddess Hall coldly. The hall master’s face sank, “Of course I know. I may have come to the boundary between the two halls, but I am still in the territory of the Heaven’s Spirit Hall. I have not formally entered your lands, so I have not broken the agreement.” With that, the hall master of the Heaven’s Spirit Hall disappeared with a sway. He had already left with extremely great speed, returning to the Heaven’s Spirit Hall. “Hmph, I’ll let you live a few more days, Jian Chen. I’ll definitely return your action of wiping out my clone by a thousand fold,” thought the hall master of the Heaven’s Spirit Hall viciously. The hall master of the Sea G.o.ddess Hall watched him leave as her lips slowly curled into a smile. Joy appeared on her face as she celebrated the suffering of the hall master of the Heaven’s Spirit Hall. She murmured, “Jian Chen sure is skillful, to be able to destroy one of his clones. You’ve made me worry for nothing. However, the hall master of the Heaven’s Spirit Hall has suffered greatly this time. It’ll be very difficult for him to recover in a short amount of time with that injury to his soul. In the blink of an eye, another few days pa.s.sed. During that period of time, it was extremely calm in the Turtle clan. Jian Chen had handed over all the miscellaneous matters to the elders to deal with while he remained in the room to cultivate. He did not take a single step out and had only gave a rough direction in regards to the development of the Turtle clan. He handed all the authority to the elders for that after giving his rough idea. During that period of time, the Tao family maintained an extremely low-profile. The activity of the clan members also became minimal. They were not willing to try their luck just in case they came across the Turtle clan. At the same time, the Turtle clan did not provoke the Tao family purposefully. Both sides knew that their opponents had a divine hall, so they could not be defeated. They were unable to do anything to each other and, hence, were locked in a stalemate. If they went overboard and caused their opponents to go on a wild slaughter, they would only be able to helplessly watch as their opponents hid in their divine hall. As a result, the Tao family and Turtle clan actually came to a rare ceasefire, but still maintained their weariness of each other. Jian Chen remained seated in the room of the Turtle clan as he cultivated. Since he cultivated the Chaotic Body, he absorbed monster cores extremely quickly. The speed at which he absorbed them was incomparable to regular people. The number of empty monster cores stacked in the corner of the room had already neared a thousand, basically forming a small hill. At this moment, a hazy voice rang through Jian Chen’s head. Only the voice was present, without an exact source. It was the sea G.o.ddess secretly communicating with Jian Chen. Jian Chen’s ears twitched slightly as he ended his cultivation. He used a communication technique to call over Tie Ta and Nubis before making his way to the central hall of the clan. “The worldly ebb of the sea realm has arrived. I’ll be leaving the clan immediately to go to where it occurs. Will you be coming with me or remaining in the Turtle clan?” Jian Chen asked the two of them. “Jian Chen, I’ll go with you. I’ll go wherever you go.” Tie Ta did not hesitate either. Although he had no clue as to what the worldly ebb was, he had already made up his mind to follow Jian Chen. Jian Chen nodded and agreed to have the two of them to go with him. Although the dangers there were unknown, he could still use the saint artifact. If they came across any dangers, they could hide in the artifact s.p.a.ce. “Hehe, you obviously have no right to nitpick what I do as the ruler. Just do what you need to do while you remain in the Turtle clan. You need to guarantee the safety of the clan before I wipe out the Tao family,” Jian Chen nonchalantly replied. Qing Yixuan coldly snorted before quietly accepting the divine hall. If it were not for the fact that the Tao family was in possession of something extremely important to her, she would not be helping the Turtle clan stand up to the powerful Tao family. Soon afterward, Jian Chen, Tie Ta, and Nubis silently left the clan. Other than Qing Yixuan, no one else knew of their departure. 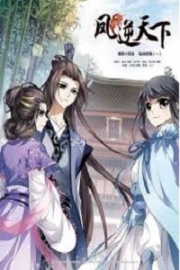 Everyone in the clan, including the elders, Tai Dou, Lan Jing, and the others, all thought that Jian Chen was still in seclusion. Jian Chen did not want his departure to be leaked. If the Tao family learned that he had left and decided to move against the Turtle clan during that time, there would be very heavy losses. Jian Chen, Tie Ta, and Nubis erased their presences as they hurried through the sea realm with extremely low profiles. They hurried to the location the sea G.o.ddess had told them about. The three of them moved very quickly, leaving the territory of the Sea G.o.ddess Hall in just a day. They arrived in a desolate land that lacked energy of the world. The region did not belong to any of the three halls’ territories because it was extremely barren. There were no crystal mines, and the energy of the world was extremely thin there. Violent storms would erupt from time to time that could even kill an Earth Saint Masters. It was impossible for weaker people to live there while stronger people would never go there to cultivate. As a result, the region became desolate after some time. No one was willing to go there. The three of them continued flying for over ten thousand kilometers, headed to the depths of the desolate region. Suddenly, an extremely powerful ripple of energy entered their range of senses. Jian Chen, Tie Ta, and Nubis’s expression hardened as surprise appeared in their eyes. The energy ripple was so powerful that it made their expressions change. The energy was filled with violence and destruction, and the vast disturbance made them wonder if there were two Saint Emperors fighting up ahead. “That’s the place that the sea G.o.ddess told us. Has this powerful ripple of energy been caused by the worldly ebb? Just what is the worldly ebb like?” Jian Chen thought as doubt riddled him inside. The three of them flew for another several thousand kilometers before finally seeing the source of the terrifying ripple. The source was an extremely vast whirlpool of energy, several dozen kilometers wide. It spun at an unbelievable speed, and the terrifying force it created caused the s.p.a.ce several kilometers away to visibly distort. Pitch-black s.p.a.ce cracks would appear from time to time. Jian Chen, Tie Ta, and Nubis stopped a hundred kilometers away from the whirlpool. They stared at it in shock. The whirlpool was actually completely formed from extremely pure energy, such that it had almost become a liquid. The energy within the terrifying whirlpool had completely surpa.s.sed the energy within Saint Emperors. Jian Chen even suspected that the energy within those of the Origin realm would probably only be a tenth of the total amount. Jian could even feel that the energy became purer the closer it was to the center. 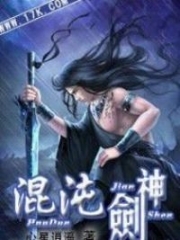 You're reading novel Chaotic Sword God Chapter 1248: Arrival Of The Worldly Ebb online at LightNovelFree.com. You can use the follow function to bookmark your favorite novel ( Only for registered users ). If you find any errors ( broken links, can't load photos, etc.. ), Please let us know so we can fix it as soon as possible. And when you start a conversation or debate about a certain topic with other people, please do not offend them just because you don't like their opinions. You're reading Chaotic Sword God Chapter 1248: Arrival Of The Worldly Ebb. This novel has been translated by Updating. 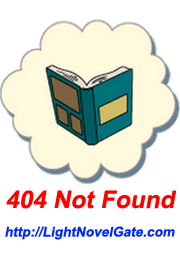 Author: Xin Xing Xiao Yao already has 4237 views. Current Time is Apr-23-2019 00:09:22 AM.